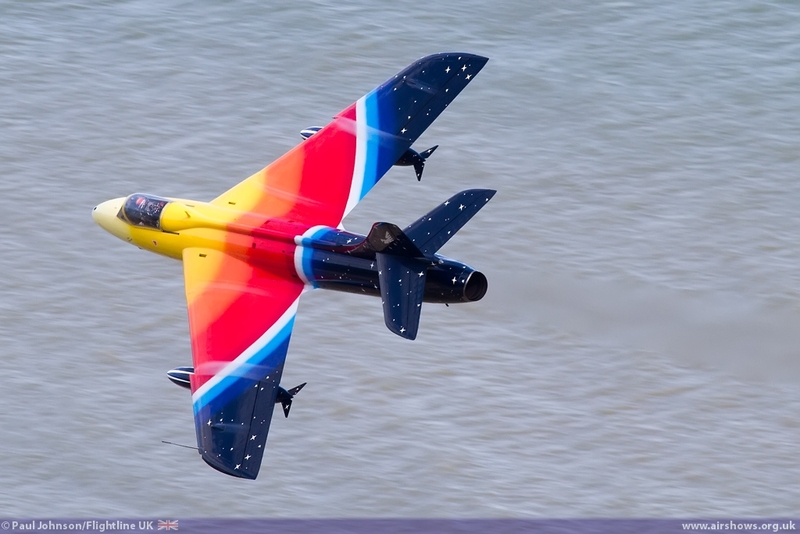 Another enticing aspect to Airbourne is the number of different vantage points around Eastbourne. 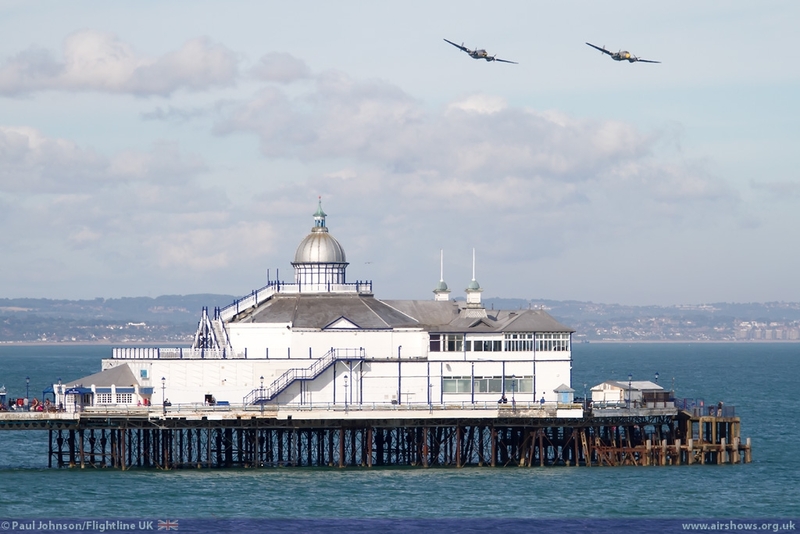 The traditional viewing areas from the Promenade and the Pier offer fantastic views of the main flying displays, but Eastbourne is nestled in amongst some spectacular Downland with Beachy Head just to the south west of the town. 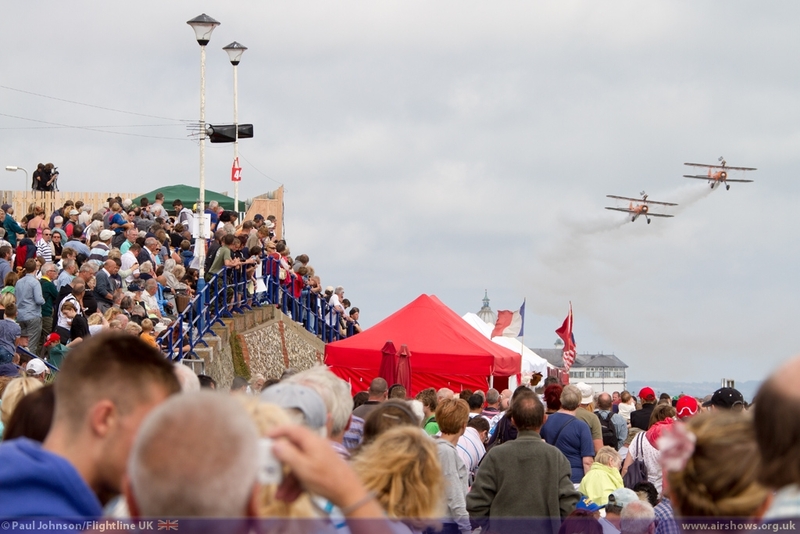 Here spectators are often treated to flypasts by some of the participants either at eye level or often well below! 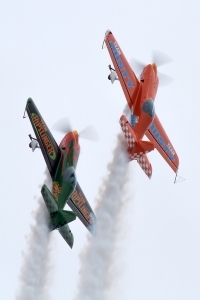 2013 was a very special year for Eastbourne with Disney choosing the event to launch the Pixar animation ‘Planes.’ Disney was present on the ground with the ‘Hangar’ with all sorts of merchandise and goodies being handed out. 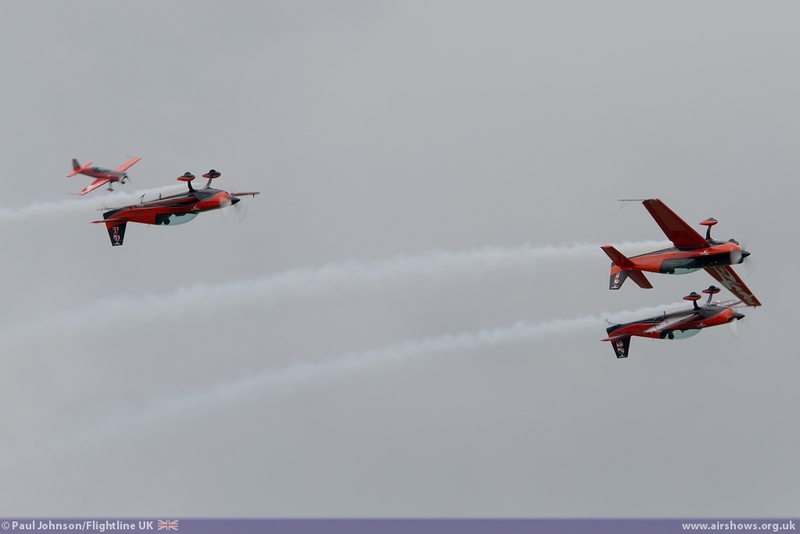 However the highlight of the launch was the exclusive display by the Matadors Aerobatic Team with their Xtreme Air XA41 wearing the colours of ‘Team Dusty’ and ‘Team Ripslinger.’ Combined with the entertaining commentary from George Bacon, Paul ‘Dusty’ Bonhomme and Steve ‘Ripslinger’ Jones put on a superb show to launch ‘Planes’ and the stall and people handing out the Disney goodies were certainly very busy following their performance on the Saturday! 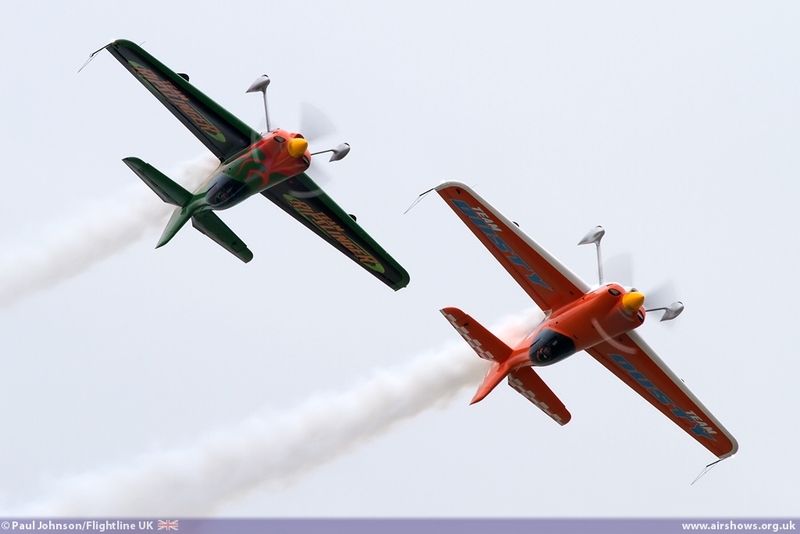 The Matadors were not the only aerobatic team taking part. 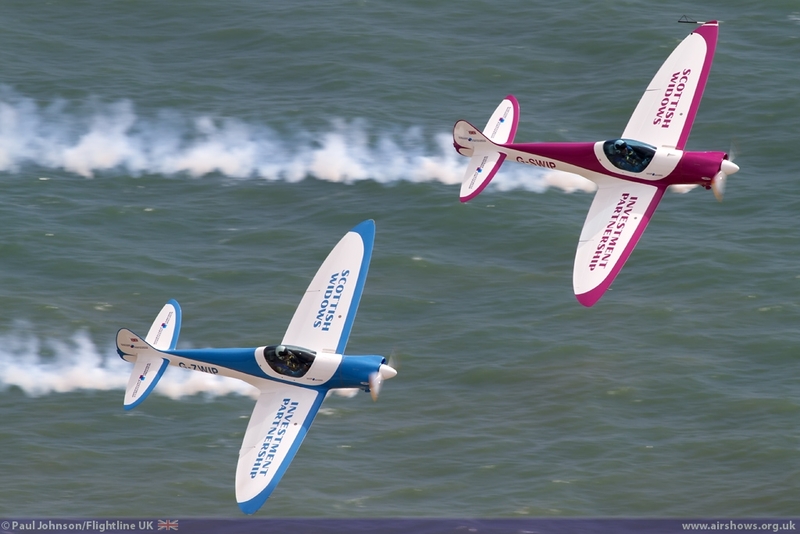 The Blades have been an Eastbourne favourite since they first appeared in 2006 and were due to appear on all four days, though sadly they only managed a quick flypast on Thursday due to some low cloud in the display area. 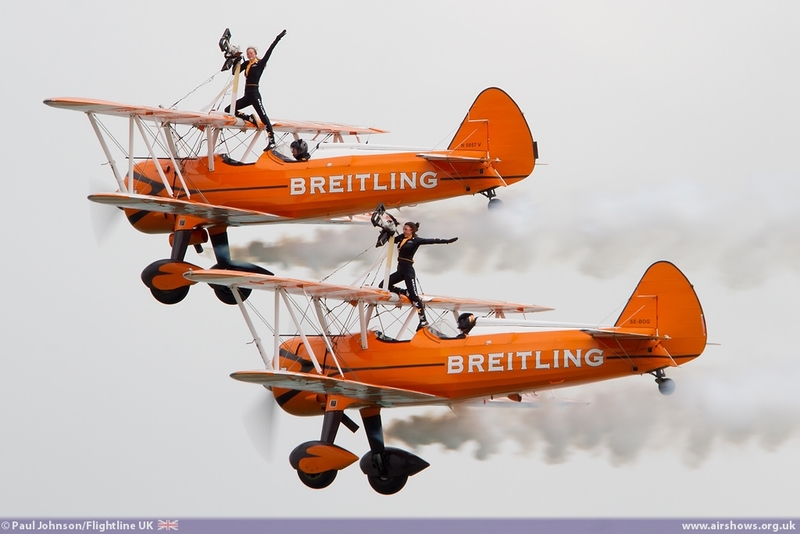 One team that did manage to get in displays on all four days were the Breitling Wingwalkers. 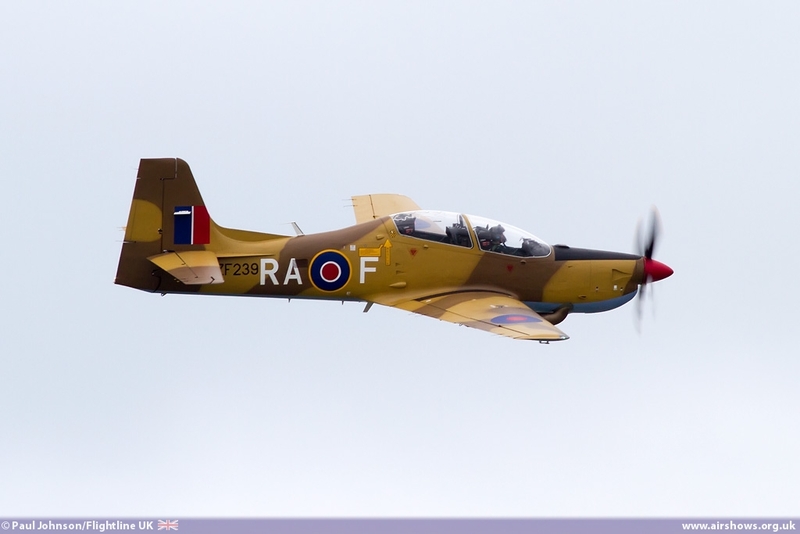 Thursday saw Vic Norman, Steve Hicks, Stella Guilding and Nikita Salmon display under some early low cloud while the rest of Airbourne saw Dave Barrell, Martyn Carrington, Danielle Hughes and Freya Paterson battle the strong breeze and low clouds that plagued the South Coast throughout Airbourne! Friday saw further teams added. 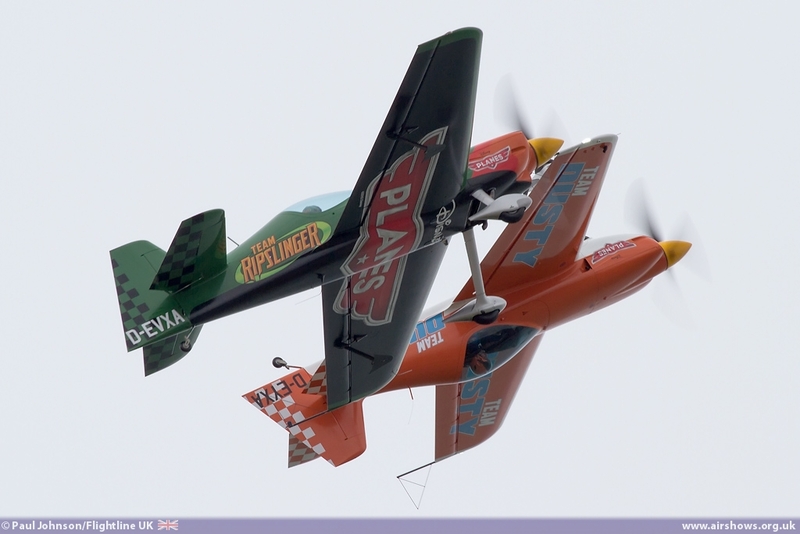 The SWIP Team were forced to fly a very rare flat display on the Friday, but Saturday and Sunday saw Pete Wells and Guy Westgate able to perform their full pairs routine in their attractive Silence Twisters. 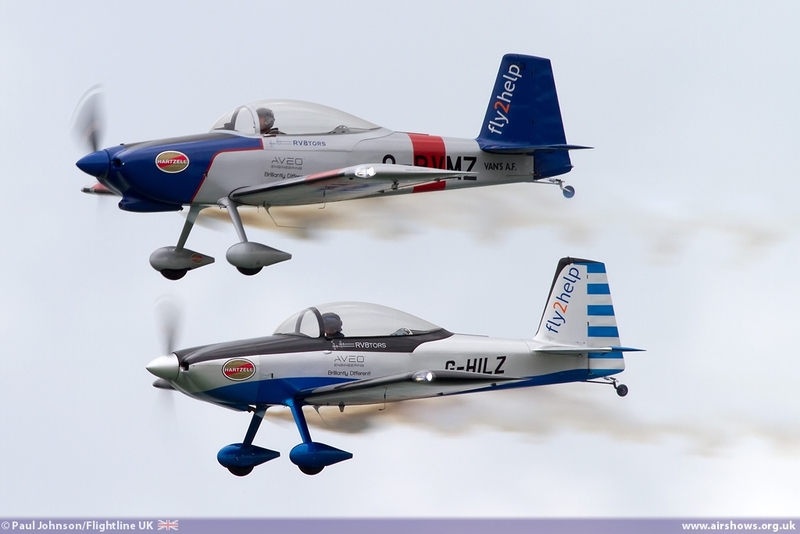 The RV8tors too joined in from Friday, though poor weather elsewhere reduced them to a solo on Friday! 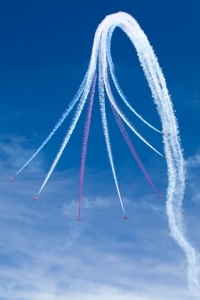 They were back to full strength on Saturday and Sunday however with their face paced close formation work and synchronised aerobatics. 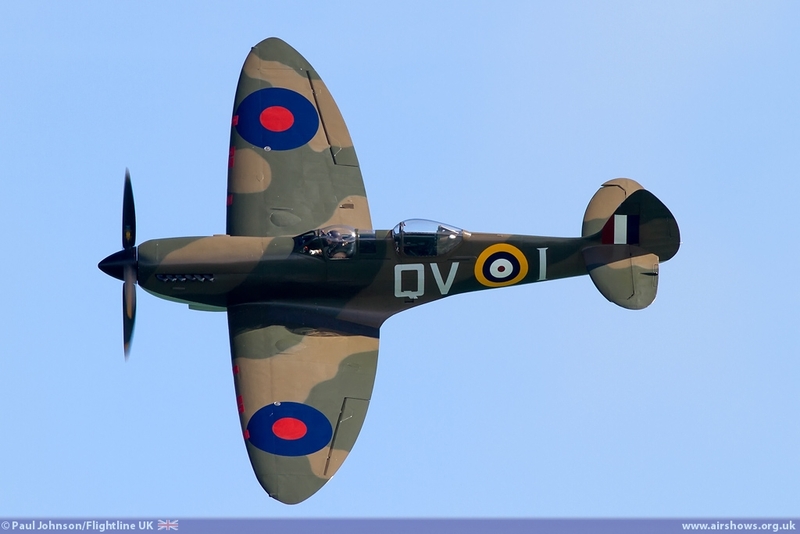 Airbourne always has a good selection of historic aircraft in flying display. 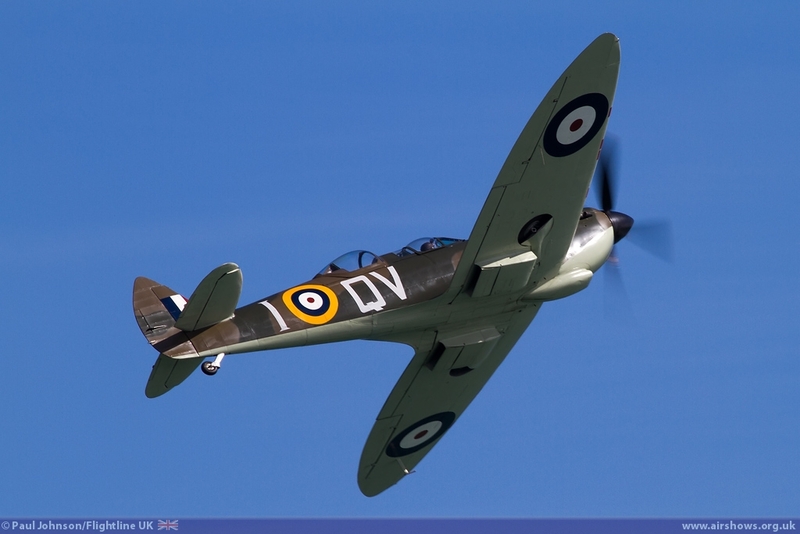 One of the longest supporters of the event has been John Romain and he was back this year with his traditional solo display in the Aircraft Restoration Company’s Supermarine Spitfire IXT PV202. 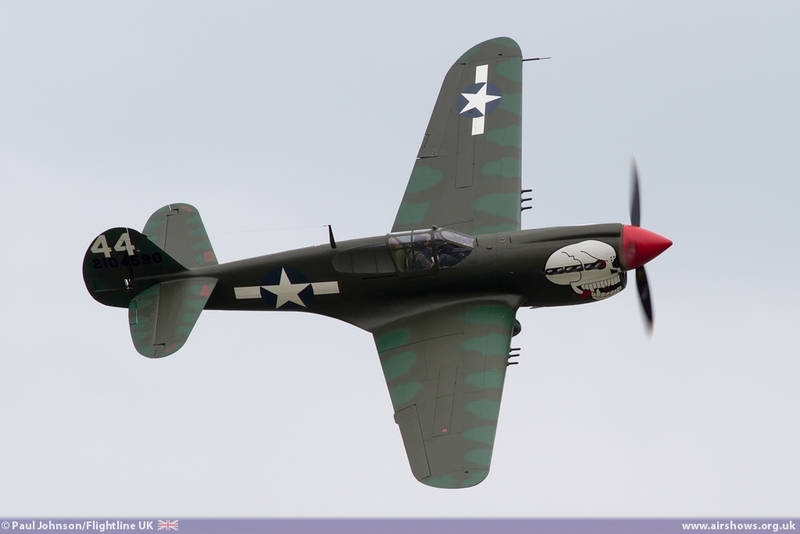 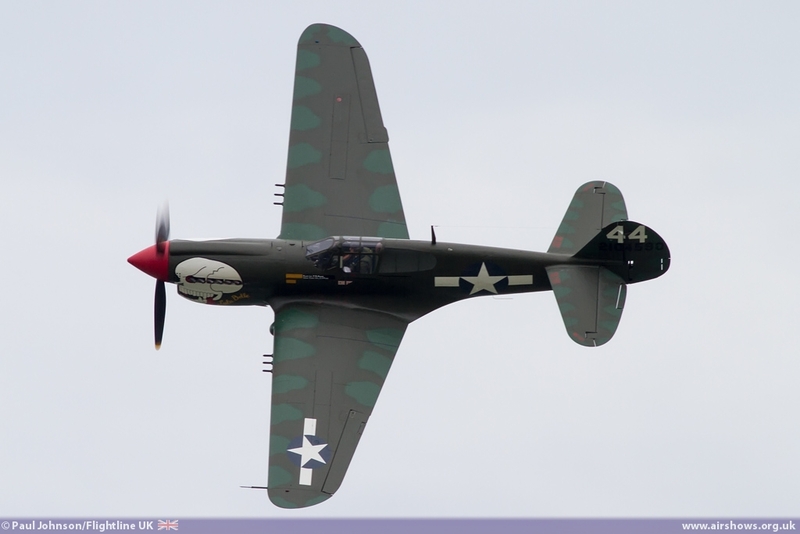 Peter Teichman is also another Eastbourne regular and in 2013 displayed his Curtiss P-40M Kittyhawk ‘Lulu Belle’ on all four days. 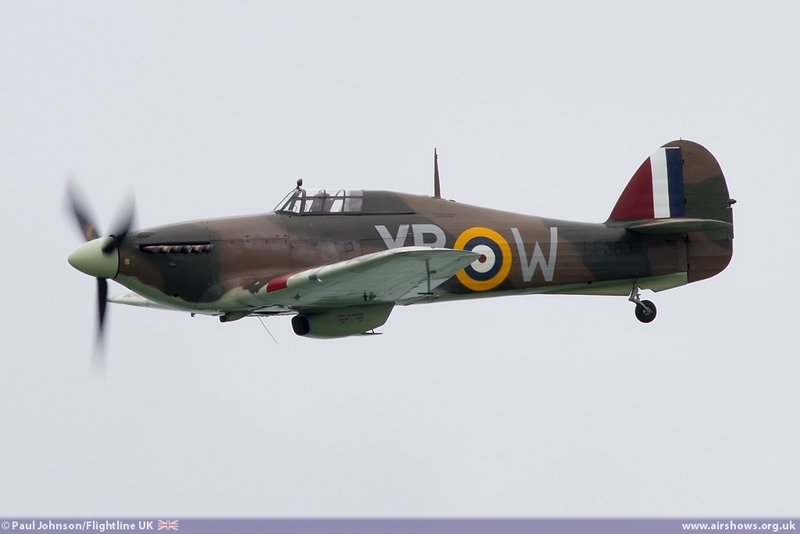 Completing the warbird displays at Eastbourne were the RAF Battle of Britain Memorial Flight with a full complement of Avro Lancaster B1, Supermarine Spitfire PR XIX and Hawker Hurricane IIc. 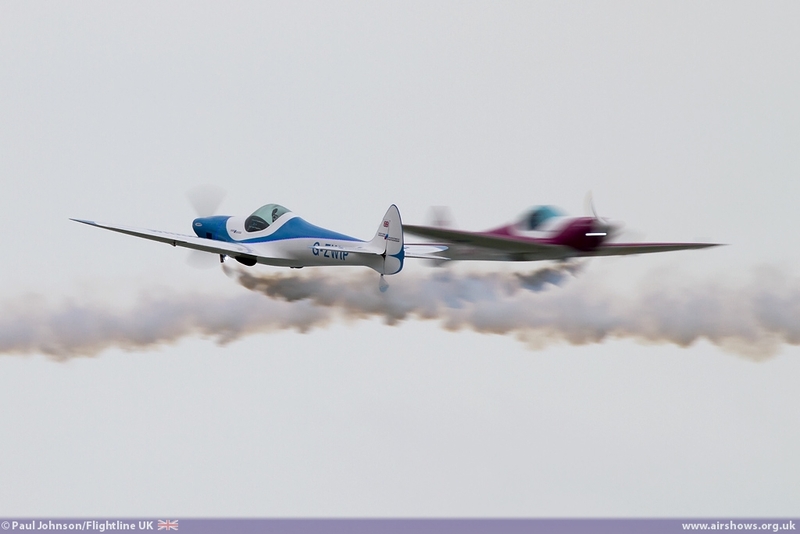 The sight of all three aircraft over the chalky Sussex Downland is particularly emotive. 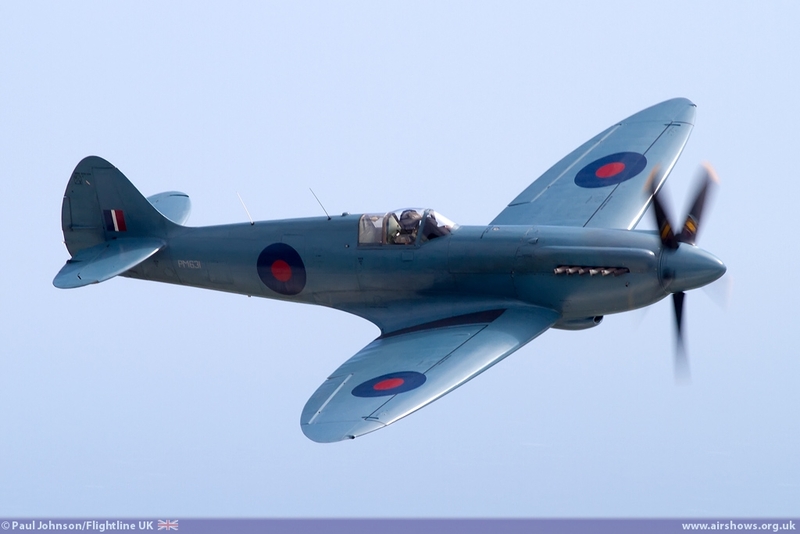 The Spitfire and Hurricane conjure memories of the Battle of Britain, much of which was fought over Kent and Sussex. 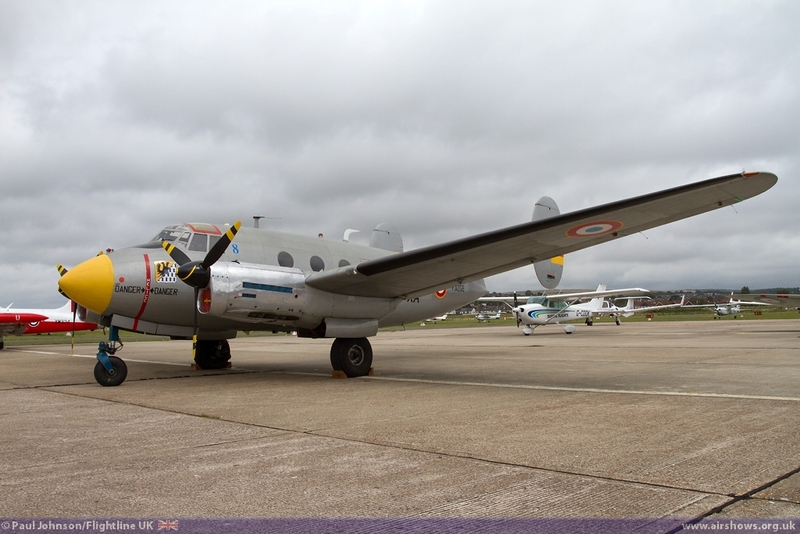 The Lancaster too has a special link with the town. 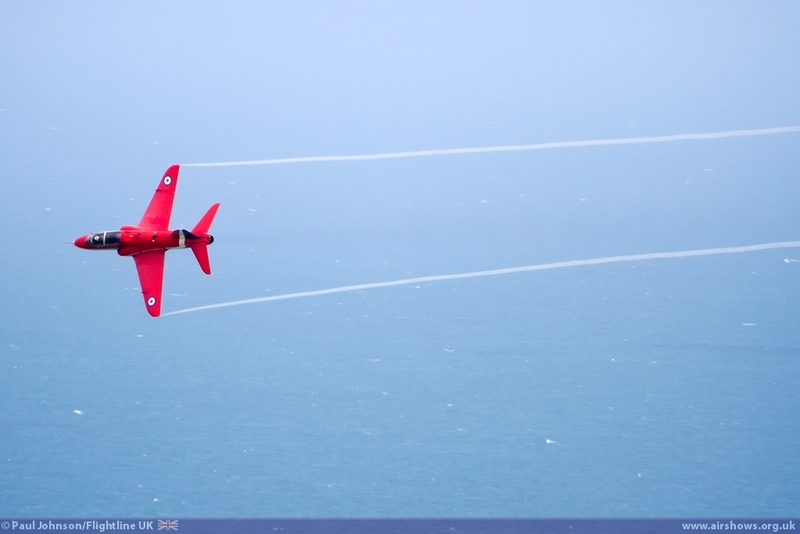 Beachy Head was one of the main routing points for Bomber Command’s raids over occupied Europe. 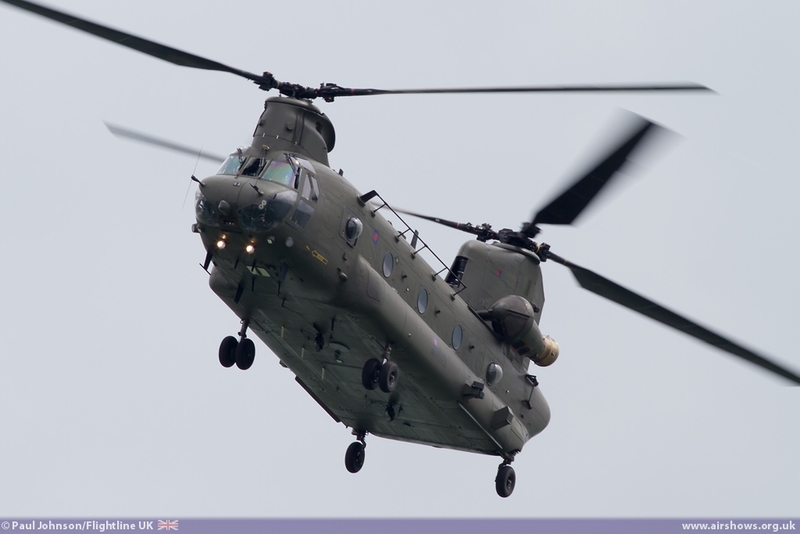 In 2012 a simply and thought provoking memorial to Bomber Command was installed at Beachy Head by an RAF Chinook in tribute to the 110,000 men that flew on bombing missions of which more than half never returned. 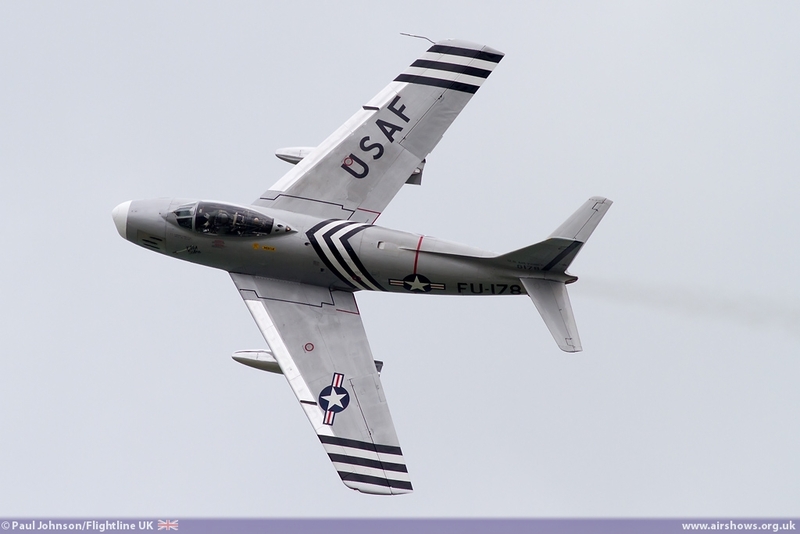 There were plenty of classic jets too. 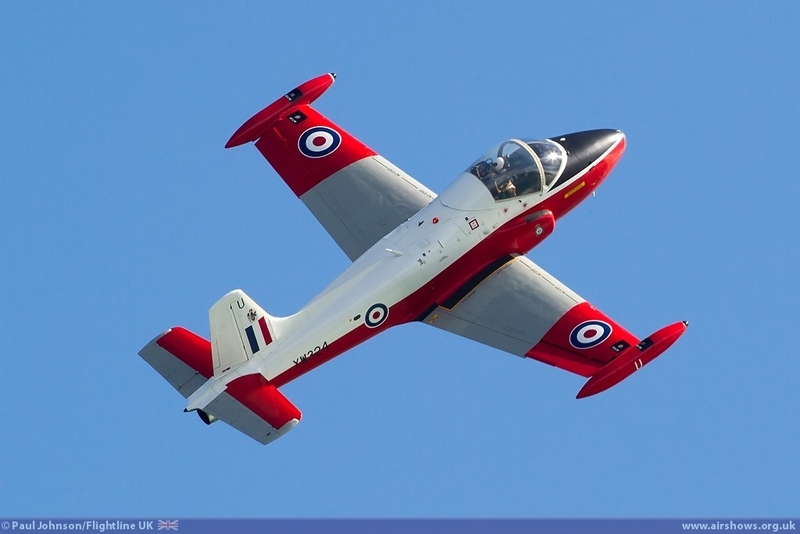 Dan Arlett displayed Jeff Bell’s lovely BAC Jet Provost T5 on all four days. 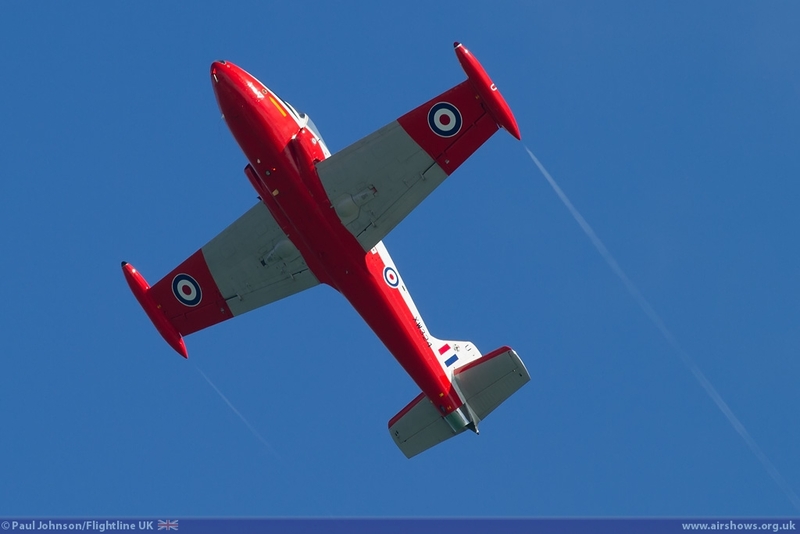 Arriving just as the clouds broke on Thursday, the jet looked stunning against the deep blue skies. 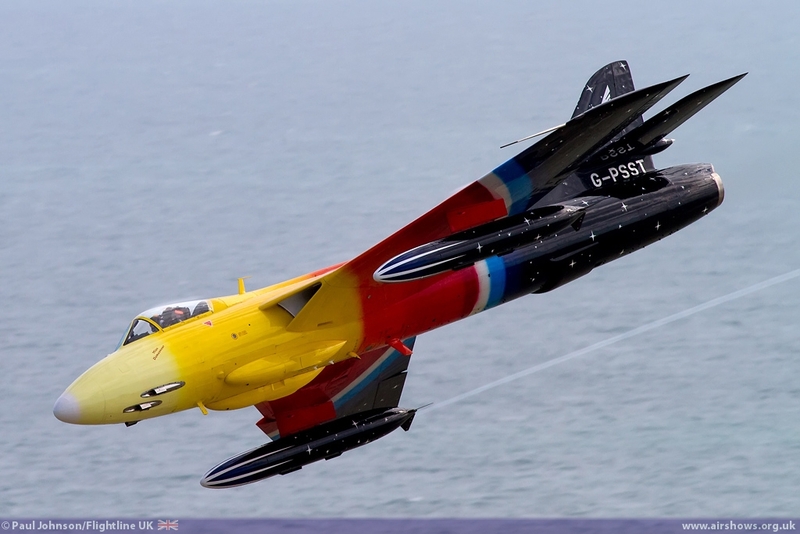 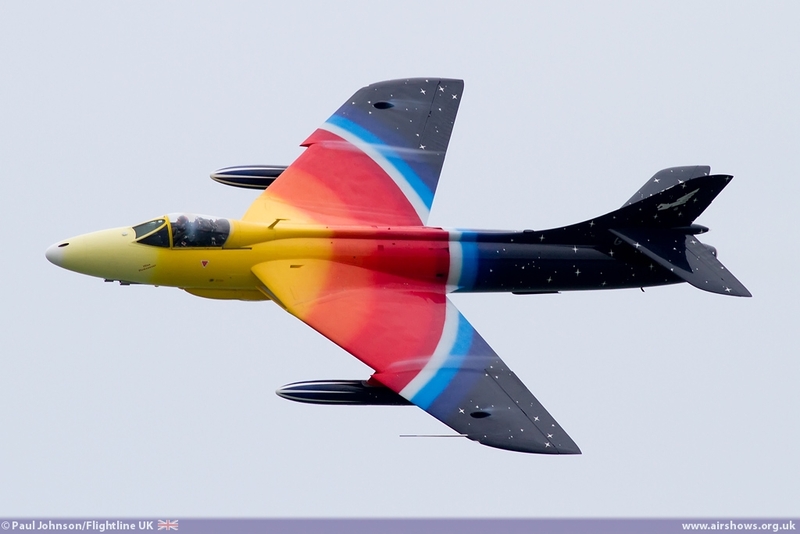 Jonathon Whaley also gave a great account of the Hawker Hunter F58a Miss Demeanour over the weekend too. 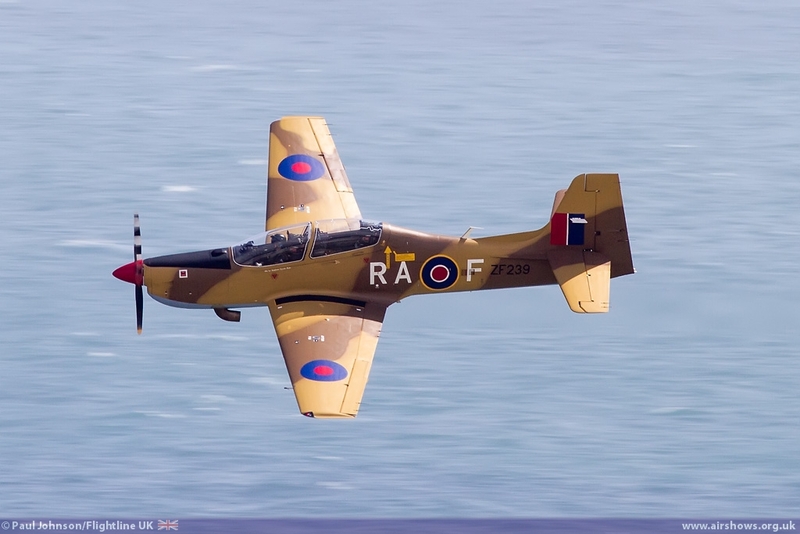 Those brave photographers at Beachy Head now a fairly good idea what it is like to be on the wrong end of a gun attack now thanks to Jonathon’s exuberant arrivals on Saturday and Sunday. 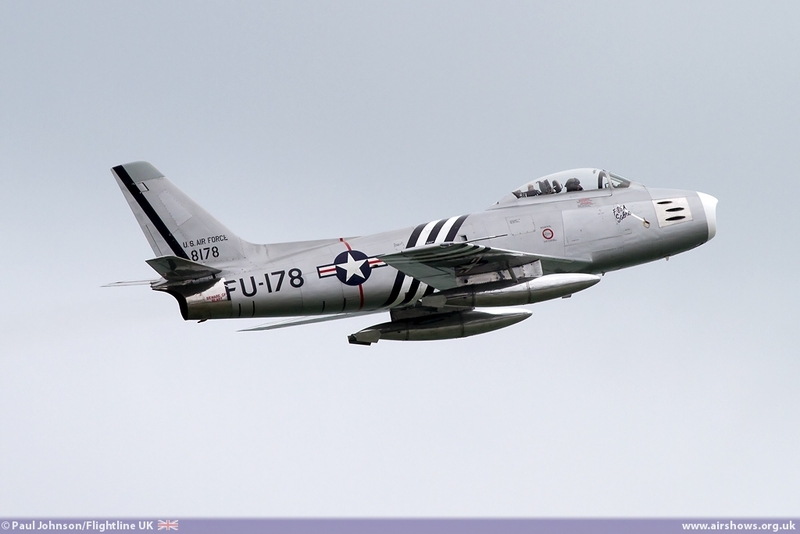 The weekend also saw the return of Golden Apple’s North American F-86A Sabre which is always a popular performer at airshows. 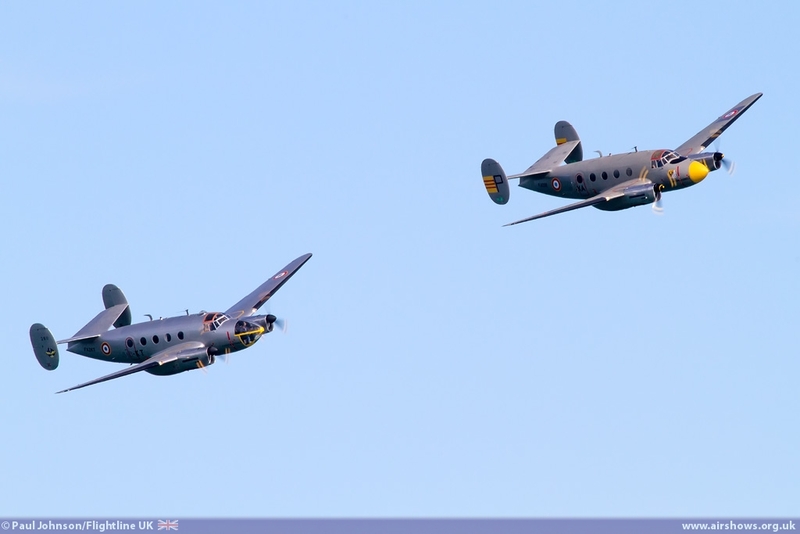 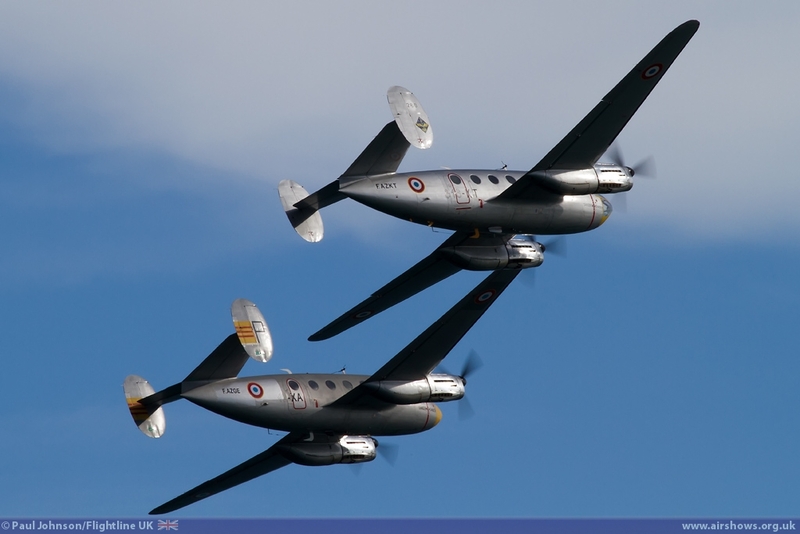 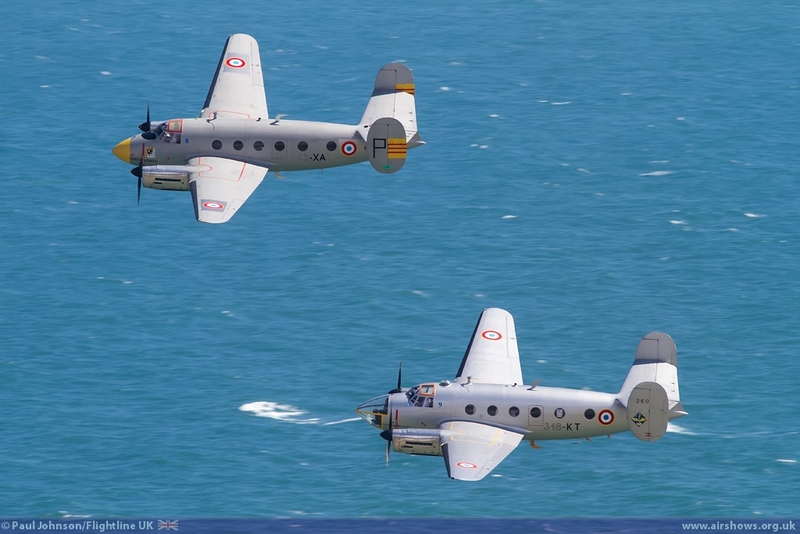 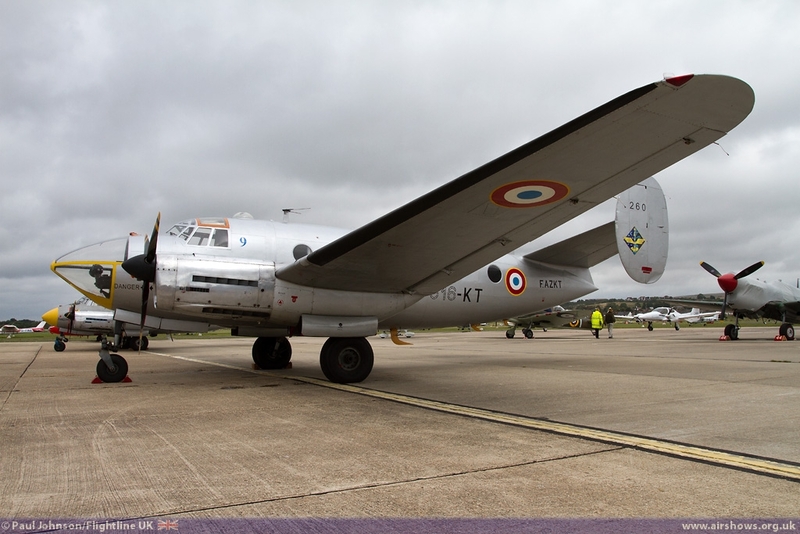 However, perhaps the stars of the show for enthusiasts were the pair of Dassault Flammants from Amicale des Avions Anciens d'Albert based in France. 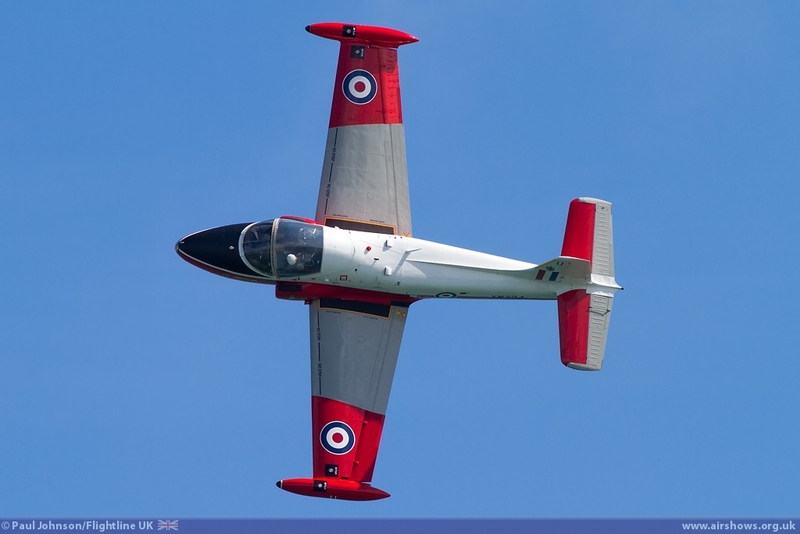 It was the first time the type had been seen at a UK airshow for many years and the UK display debut for this duo of the MD311 Bombing and Navigation trainer and the MD312 Transport and Liaison variant. The two Flammants performed a tight and elegant routine for formation passes, tail-chasing and breaks. 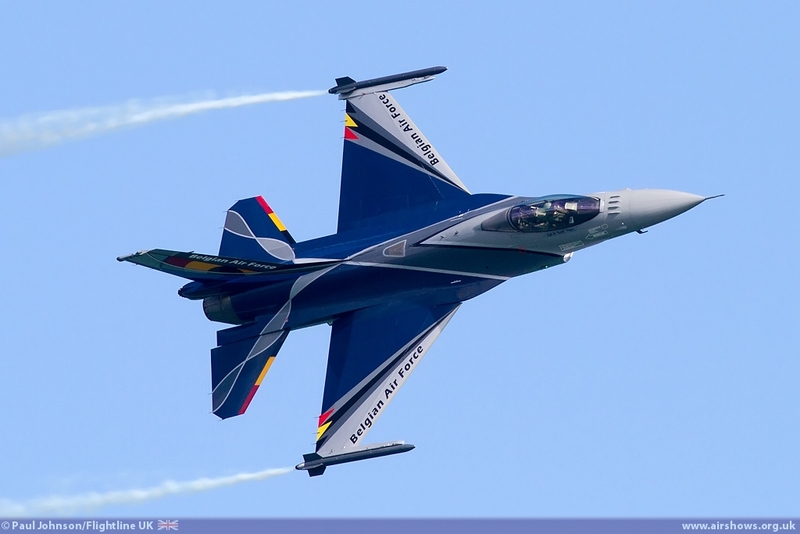 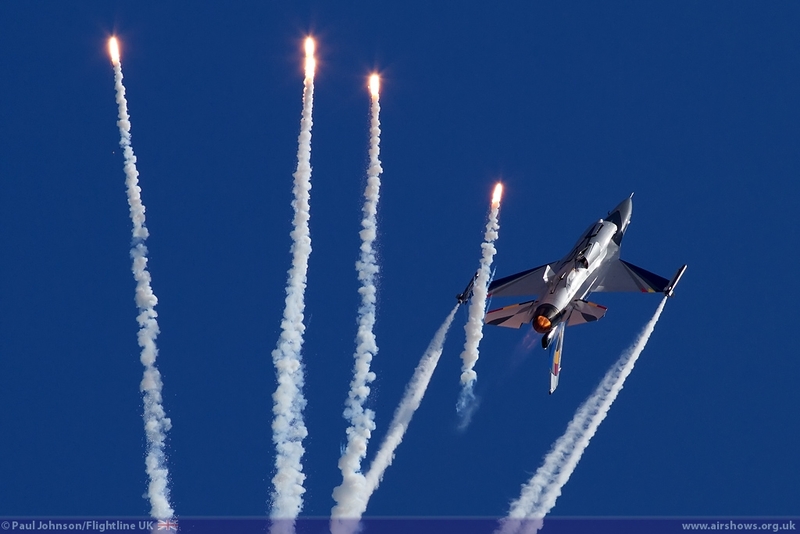 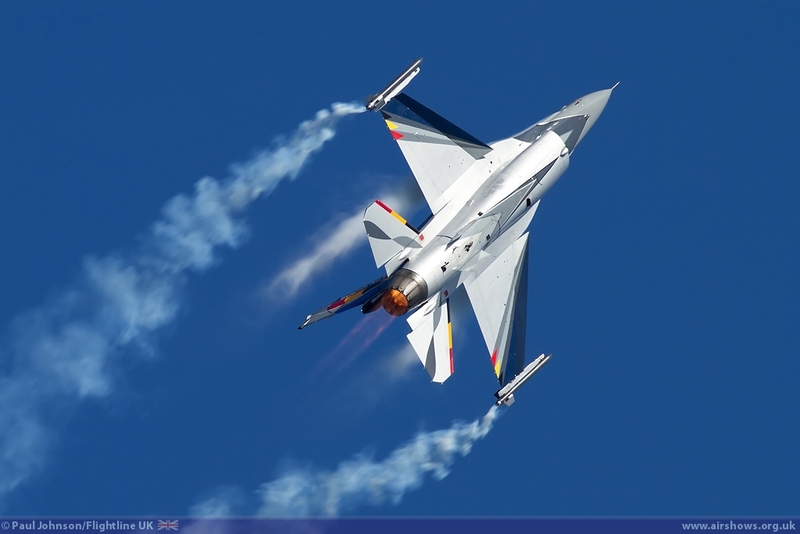 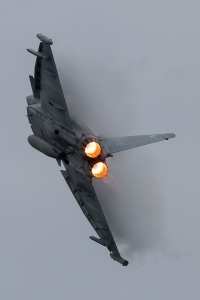 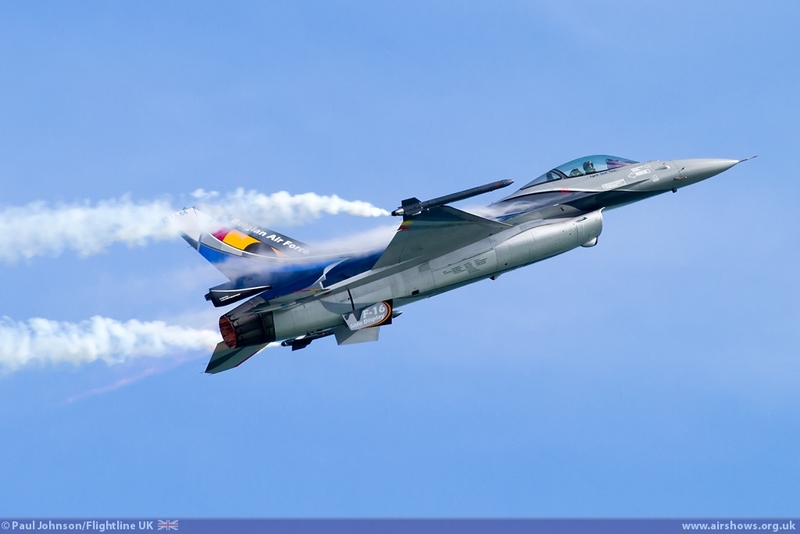 The international flavour continued with the military participants and the Belgian Air Component Lockheed Martin F-16AM Fighting Falcon which displayed on the Thursday and Friday only due to commitments in Denmark over the weekend. 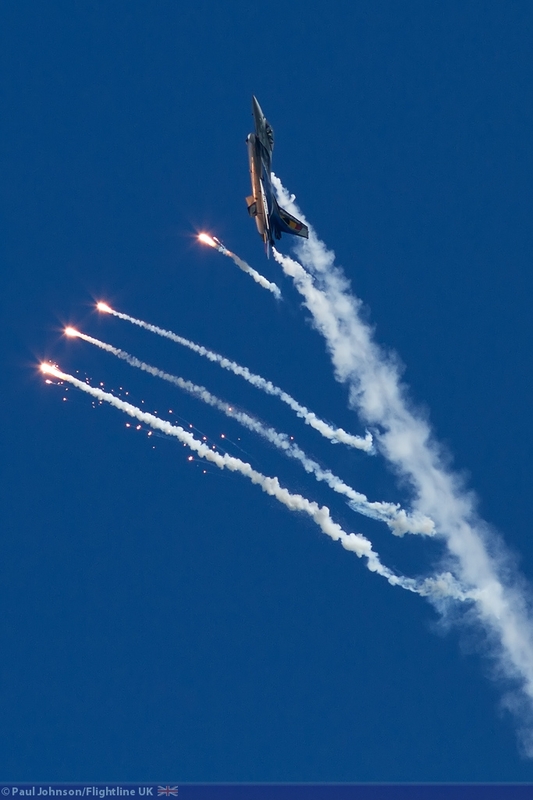 While Friday’s cloud restricted ‘Grat’ Thys’ routine, his appearance on Thursday coincided with clear blue skies under which he unleashed his full routine complete with liberal use of flares! 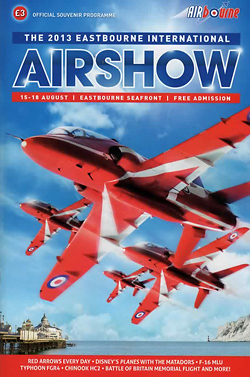 Airbourne has always been a big event for the Royal Air Force and UK military since the days of the RAF town show. 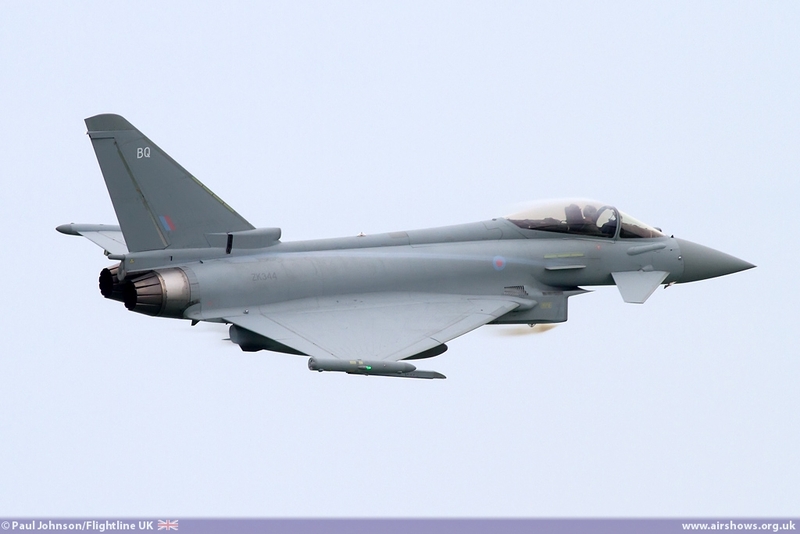 2013 saw participation from all three armed services. 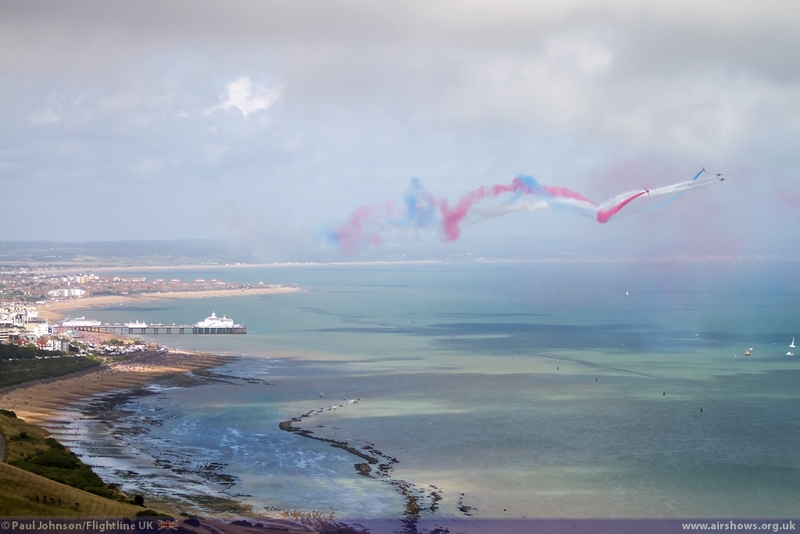 The Royal Navy were represented by the Raiders Parachute Display Team, but sadly due to the weather they were unable to perform during their slots on Thursday and Friday. 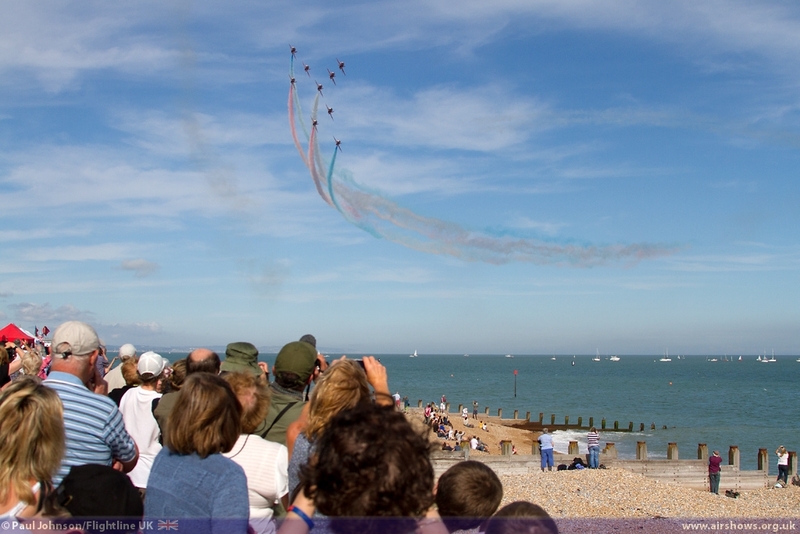 The weekend saw the Tigers Parachute Display Team from the British Army take over the mantle of the parachuting display, but again their drop on Saturday was thwarted by the weather though Sunday’s clearer skies did at least mean they could drop onto the shingle beach. 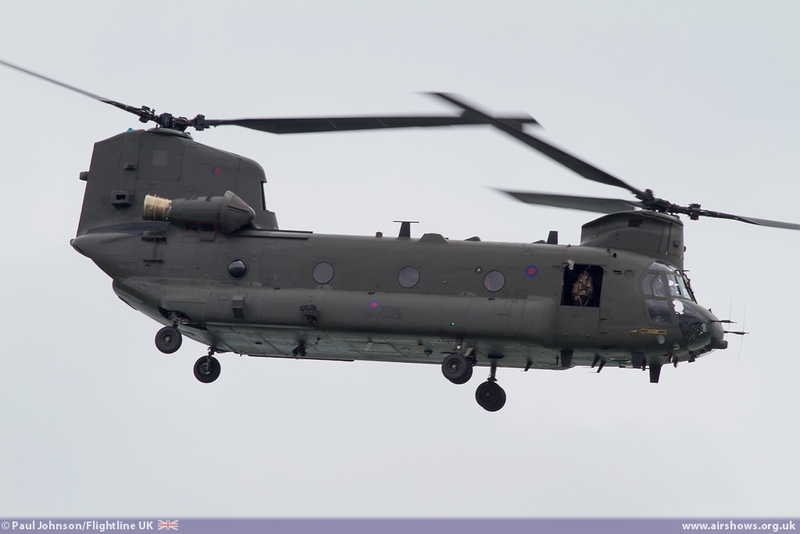 The Army Air Corps also sent their Westland Lynx AH7 but sadly like the parachutists was affected by the weather and was unable to complete a display. 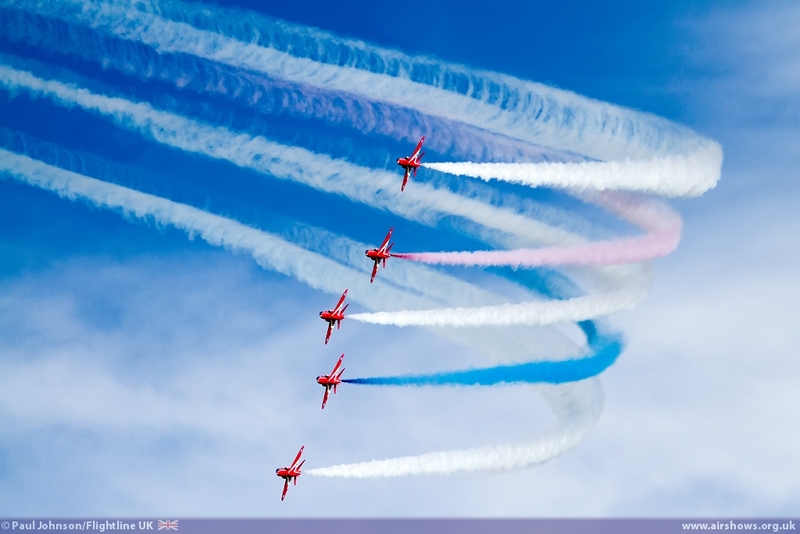 The Royal Air Force has better luck with all their scheduled displaying at some point of the weekend. 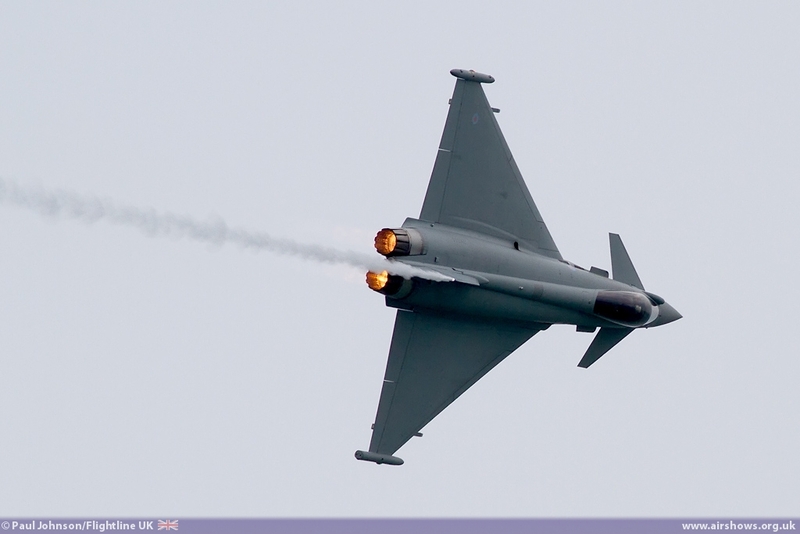 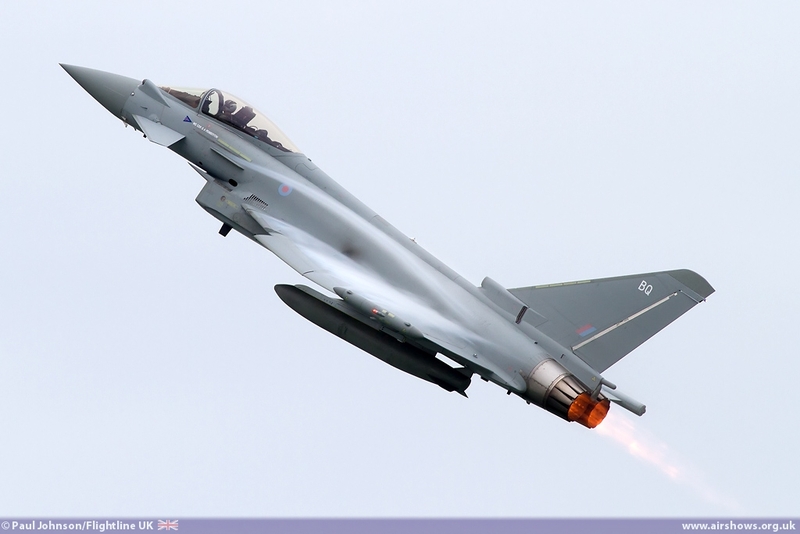 As well as the aforementioned BBMF, the RAF also had solo displays from the Shorts Tucano T1, Boeing Chinook HC2 and Eurofighter Typhoon FGR4 in the show. 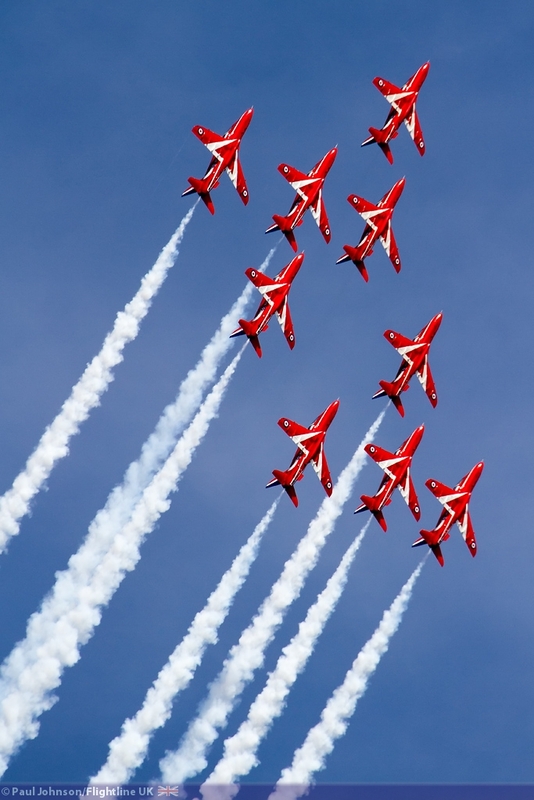 However, it was the Red Arrows returning to Eastbourne after missing last year’s show that were the stars of the weekend. 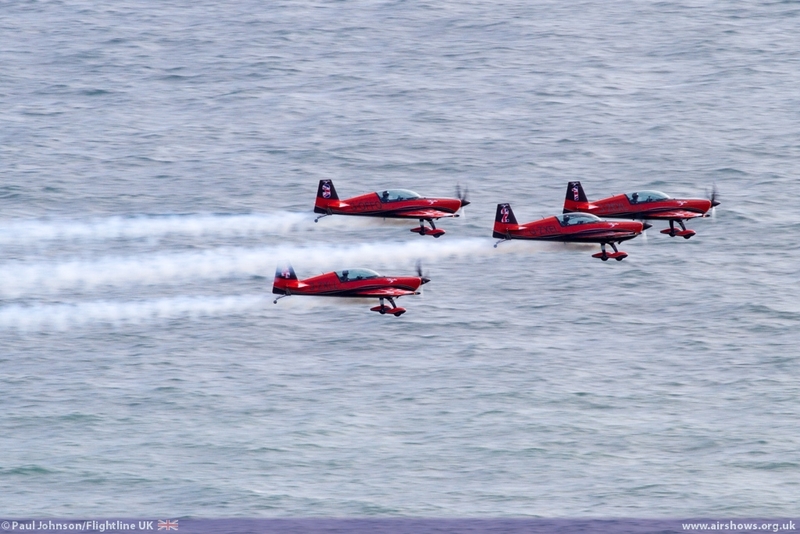 Perhaps as compensation for missing 2012’s event for a visit to Russia, the team appeared on all four days significantly boosting Thursday’s attendance in particular. Also remarkable were the breaks in the weather afforded to the Red Arrows. 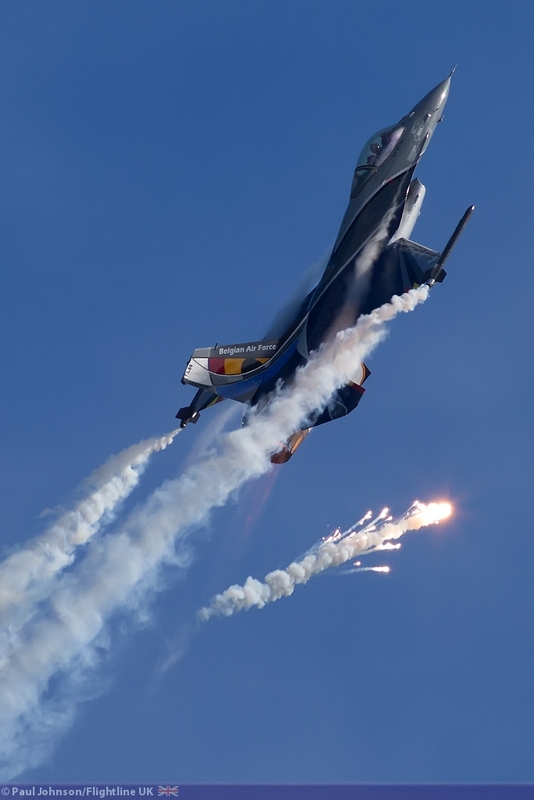 Friday with its bad weather saw the team cut short its display but the rest of the three days saw full looping displays from the team with some well-timed breaks in the cloud! 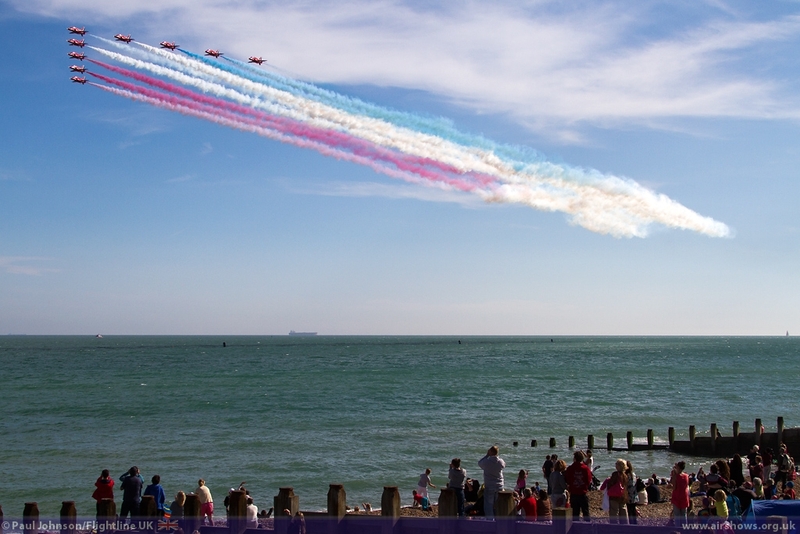 It was great to see Eastbourne Airbourne in fine form once again. 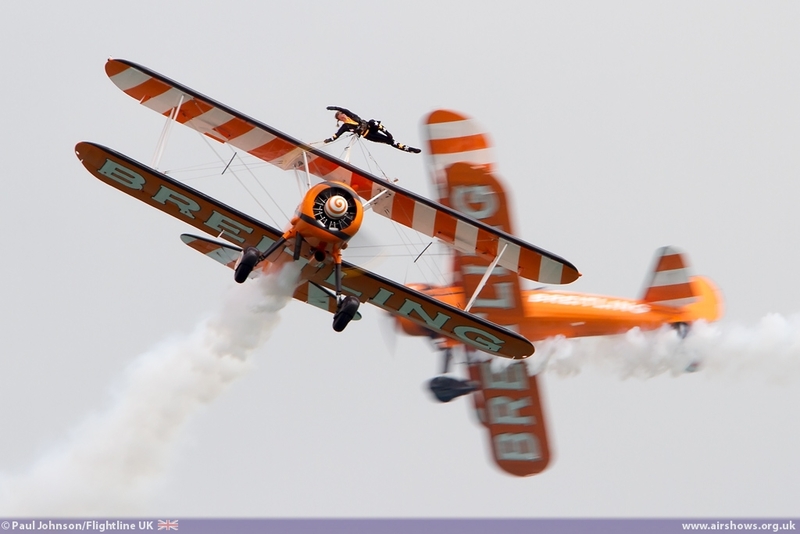 The flying displays presented a nice mix and it was certainly good see some very different acts amongst the regulars. 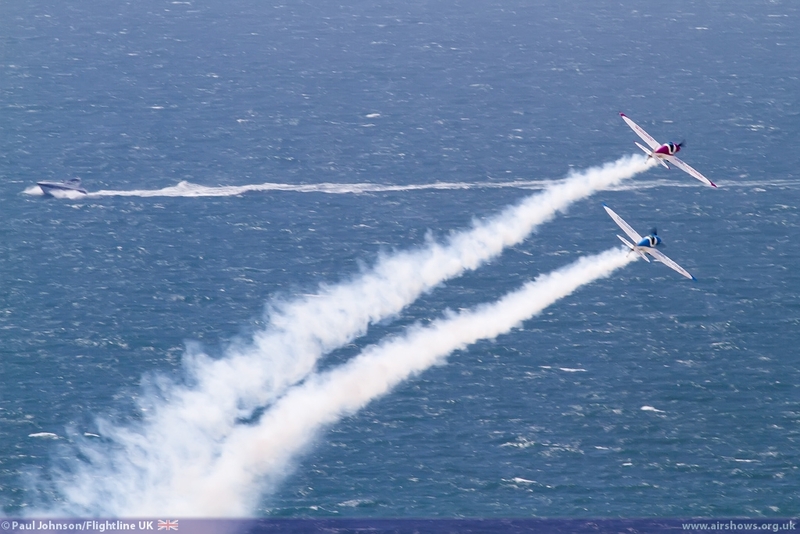 Special mention must go to the pilots and organisers who dealt with some pretty difficult conditions at times. 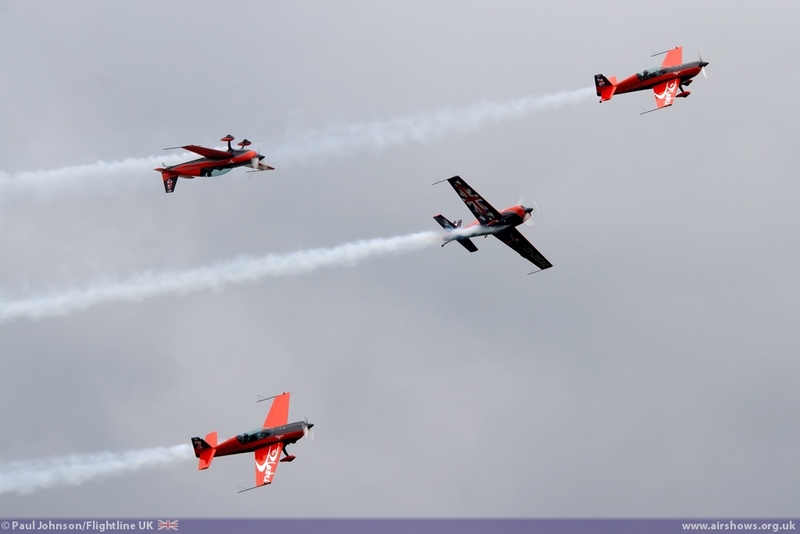 Friday’s poor weather not only restricted displays but also forced some participants to land away from their intended operating airfields while Saturday was forecast to have poor weather later in the day. 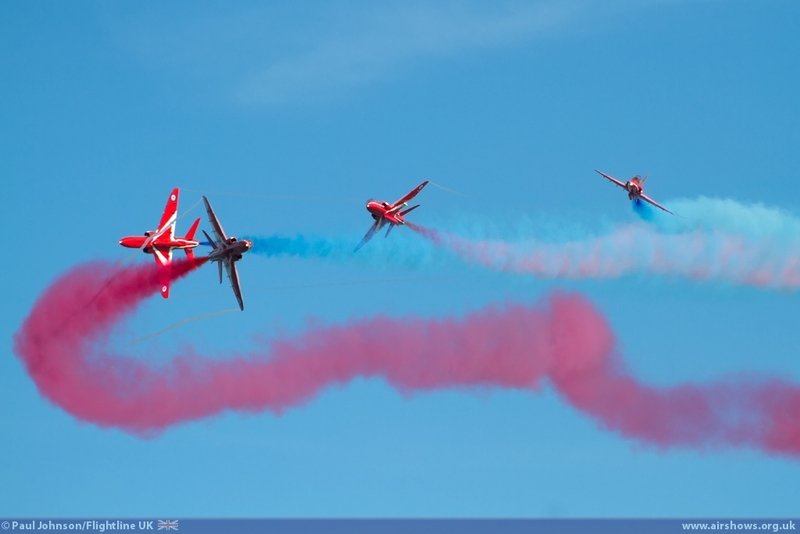 For the public, apart from Saturday’s displays being brought forward slightly, the whole weekend appeared to run on rails! 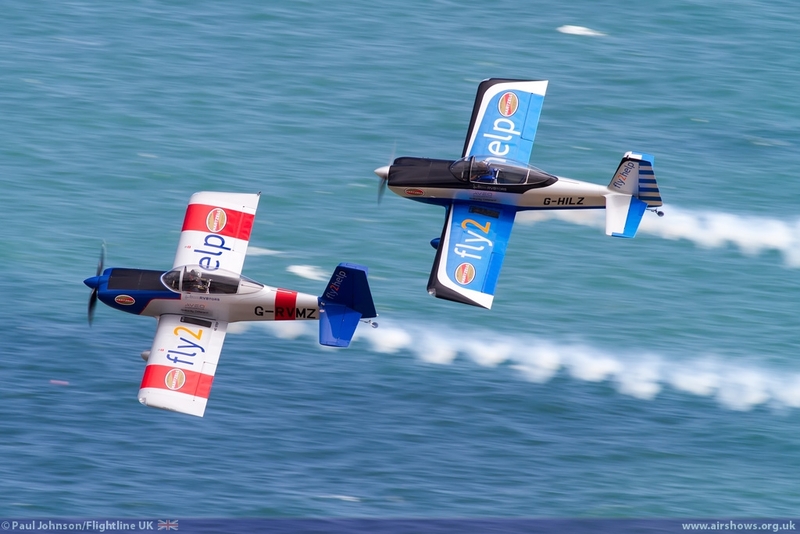 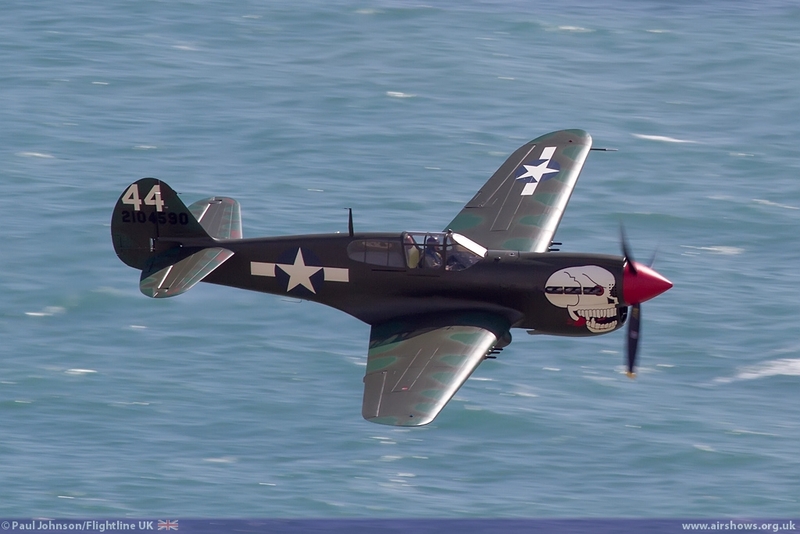 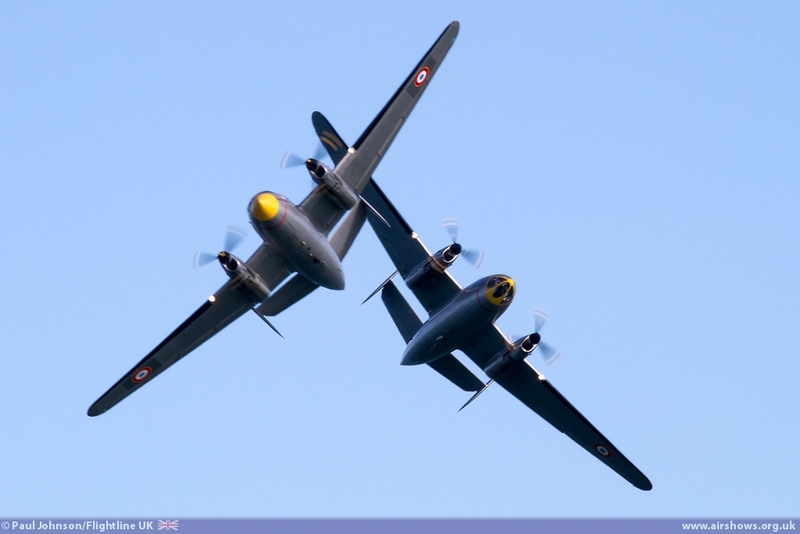 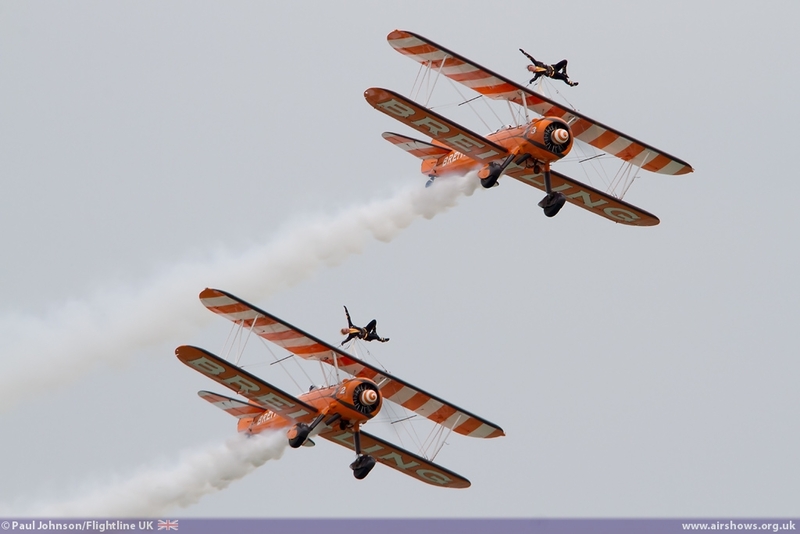 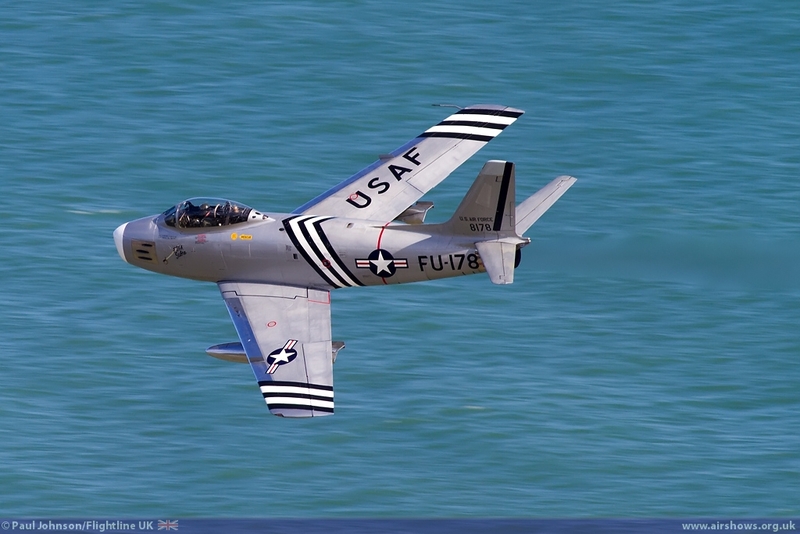 Eastbourne is a great event and I cannot wait for Airbourne 2014!